Date: 02/11/07 Bretton Hall at Wakefield is set to be developed as a luxury hotel and spa with strong creative links to the adjoining and highly-popular Yorkshire Sculpture Park.Wakefield Council's Cabinet has agreed the long lease of Bretton Hall and the Bretton Hall Estate to Rushbond plc and the Yorkshire Sculpture Park respectively. Cllr Denise Jeffery, Deputy Leader of the Council with responsibility for regeneration, said: "We received a lot of interest in the site. We have decided to go for the proposal from Rushbond because it offers us the best use of Bretton Hall, in keeping with its very special setting. 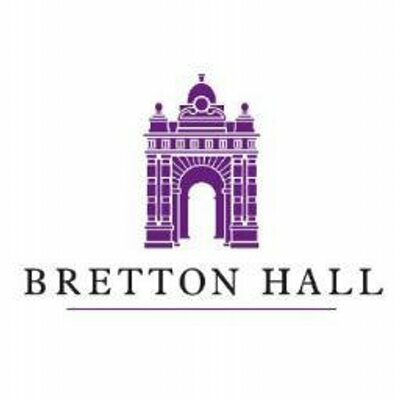 "The plans are wonderful and fit in with the traditions of Bretton as a centre of creative arts and education. The proposal will draw in private sector investment, restore the hall itself and other listed buildings and provide better access to the site, including by public transport. "I am looking forward to work starting as soon as possible on site and I am sure we will have a real jewel in our crown when it is completed. It will complement The Hepworth Wakefield to make the district a big cultural tourism destination. "Now we have chosen our development partner, we hope to stage exhibitions about the plans and gather comments and views from the public to help us work out the detail of what we will be doing at Bretton. "Jonathan Maud, Managing Director of Rushbond said: "This is a very special opportunity and we are delighted to be working with Wakefield Council as their development partners. Yorkshire Sculpture Park is such an inspirational place and we look forward to evolving with the Council, the Park and the local community the deliverability of a package of proposals which are all focused upon enhancing the Park's reputation and status".Rushbond is a Leeds-based property development and investment company with a reputation for high quality and imagination and expertise in refurbishing listed buildings. It is proposing a luxury hotel and spa, a learning zone to boost educational resources at the Sculpture Park and a Centre for Creativity and Imagination which will provide work and studio space for arts, design and media companies. The plans include completion of an inner access road and a shuttle bus from Bretton to Wakefield city centre.The Yorkshire Sculpture Park will take over the estate grounds and lakes to make sure they are properly managed and maintained in keeping with existing park facilities.The Council acquired the Bretton Hall Estate from the University of Leeds in 2006 to make sure that the future use and management of the estate were in keeping with the environs of the Yorkshire Sculpture Park. The University vacated the site in September this year.The hall, with an estate dating back 700 years, came into public ownership of the old West Riding County Council in 1947 as a centre of excellence for teachers, which was affiliated with the University of Leeds. In 1989 the College became a Higher Education Corporation and remained independent until 2001 when the College merged with the University of Leeds. During the past 60 years students have studied on the Campus in various disciplines including creative arts, drama, fashion, textile design, music and the Post Graduate Certificate in Education.